I don’t typically care about The Oscars. The only best picture nominees I’ve seen for this year are Gravity, which was incredible and from a production perspective a technical marvel, and American Hustle…Which I don’t understand why it was nominated. All I even remember about it was two hours of Amy Adams’ sternum and Jennifer Lawrence being delightful. Most people I know who have seen all of the nominees have varying opinions about who should win and why but the one thing everyone seems to agree on is that they don’t know why Wolf of Wall Street was even nominated. 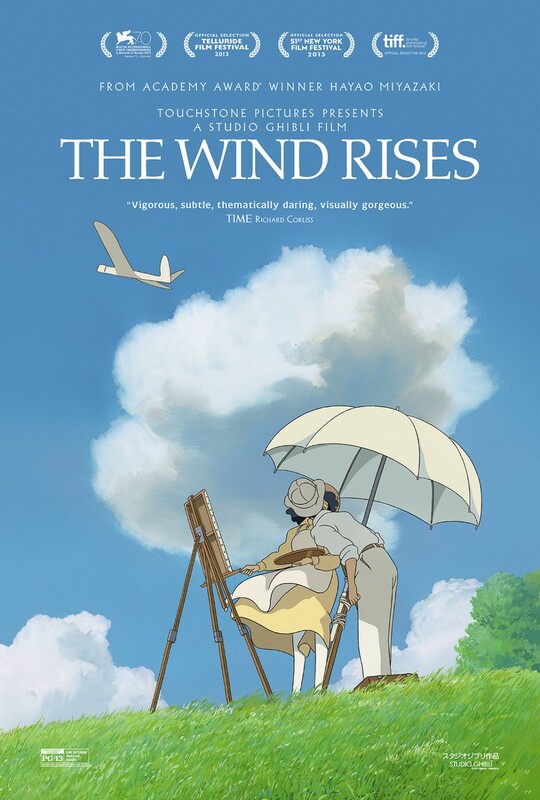 The point is, there was only one movie that was nominated for an Oscar this year that I HAD to see and it isn’t even up for best picture: The Wind Rises. As a comic artist and animation lover I got on the Miyazaki bandwagon late. Around when Howl’s Moving Castle came out. I was blown away. Before that the only other big-budget animated feature from Japan I’d seen was Akira, which still holds up today as a cyberpunk masterpiece. Other than that I’d only ever seen what was on Toonami. But Miyazaki’s work was nothing like Akira or anything else I’d seen. His work is light and whimsical and lovely and beautiful and optimistic. His characters rarely conform to storytelling tropes and violence is almost always the problem, not the solution. Though it’s more rooted in reality than many of his other movies, The Wind Rises is no different. The Wind Rises is a slightly fictionalized biography of Jiro Horikoshi, the inventor of the Mitsubishi A5M and A6M Zero fighter planes. I say slightly fictionalized because a lot Jiro’s fascination with flight is illustrated through wonderful dream sequences during which he interacts with Giovanni Caproni, an Italian aeronautical engineer and aircraft designer. Caproni is the source of a lot of Jiro’s inspiration and serves as a kind of dream-state mentor for Jiro as he grows from a child through the completion of his first fighter plane. As a child, Jiro’s poor eyesight kills his dream of being a pilot. Caproni encourages him to design aircraft instead, stating that he’d never even flown any of his own designs. Jiro works through University and finds himself employed by a company designing fighter planes for the military. The company Jiro’s working for isn’t having any luck designing an aircraft that can compete with those being developed by Germany and America. Japan is still building with wood and canvas and their engines are under-powered, while Germany has already developed planes made entirely out of aluminium. Jiro is sent to Germany to study the designs of Hugo Junkers and obtain a license for one of their aircraft, a Junkers JU89 I believe, to turn it into a heavy bomber. Shortly after, while Jiro is on vacation back in Japan, he meets a German named Castorp. This character shares the name and ideals of a character from the Thomas Mann novel The Magic Mountain. Castorp warns Jiro that Junkers has run afoul of Nazi Germany and that Japan and Germany are both heading toward ruin with their development of machines that will inevitably be used for war. Jiro and Caproni dreaming together. God this movie’s pretty. It’s during this point that Jiro has another “shared dream” with Caproni where they discuss this possibility. Caproni asks him “Do you prefer a world with pyramids, or with no pyramids?” Would he rather develop aircraft knowing they may be used for war, or not create them at all? Miyazaki has been accused of glorifying a man known in Japan as a pioneer while ignoring the ugly truth that the aircraft Jiro created would bomb Pearl Harbor, be used in kamikaze attacks and were built in factories under forced labor. Many reviewers have accused Miyazaki of ignoring these facts intentionally, and while that may be, I don’t think the intent was malicious in the slightest. Obviously, this movie isn’t meant to be a hard examination of the military, political and societal ramifications of the development of machines made for war. In the film Jiro is shown to be hesitant to create these machines, but his love of flight and creating aircrafts is what drives him forward. From the start he seems to be aware in his dreams of the military uses for his designs, but he’s more interested in flight and in the ways these innovations can be used for good. He later dreams of more realized consequences that his creations have the power to leave on the world but he pushes forward. He would rather live in a world with pyramids. In a way, I think Miyazaki is drawing a correlation to how even animation has been used as a weapon of war. Ultimately, he’s telling the story of a peaceful man working for a nation moving toward war and how a beautiful creation can be used for destruction. How is the way that Warner Bros and Disney have quietly hidden away all of their incredibly offensive WWII-era propaganda cartoons any different than Miyazaki choosing to leave the politically sensitive content out of a movie that isn’t meant to have a political message? I doubt that every animator working for Warner Bros and Disney during the war felt 100% fine with the horrifically insensitive material they were creating. These were people hired to draw cartoon characters getting up to wacky hijinks and now they’re drawing Donald Duck saluting Hitler and Bugs Bunny dropping anvils on racist caricatures of Japanese people. They’re both hiding ugly pasts and are ignoring facts that are inconvenient for the images they’re trying to cultivate. Personally, I think the way Miyazaki handled this content was tonally perfect for the movie he was trying to make. But I digress, if this truly is Miyazaki’s final film, he’s left the business on a high note telling a story that actually has roots in his own childhood. Miyazaki’s father was an aeronautical engineer and his firm, Miyazaki Airplane actually supplied parts for the production of the A5M. The Wind Rises is beautiful, the voice acting is great (yeah, I saw it dubbed, deal with it) with performances from Joseph Gordon-Levitt, John Krasinski, Emily Blunt, Stanley Tucci, Mandy Patinkin, and Mae Whitman, as well as a delightful and surprising bit with Werner Herzog. The score is beautiful and I think one of the coolest things about the film is its use of human voices as sound effects. People mimicking engine noises and moaning and making crashing noises to create the sounds of aircraft engines and earthquakes and fires and plane crashes. It’s a truly inspired choice, it never felt weird or out of place. It’s one of those “why has no one else ever made this choice?” moments that’s truly genius. Miyazaki has proven again why he’s a master of his craft and why his retirement is a loss to the world of animation. 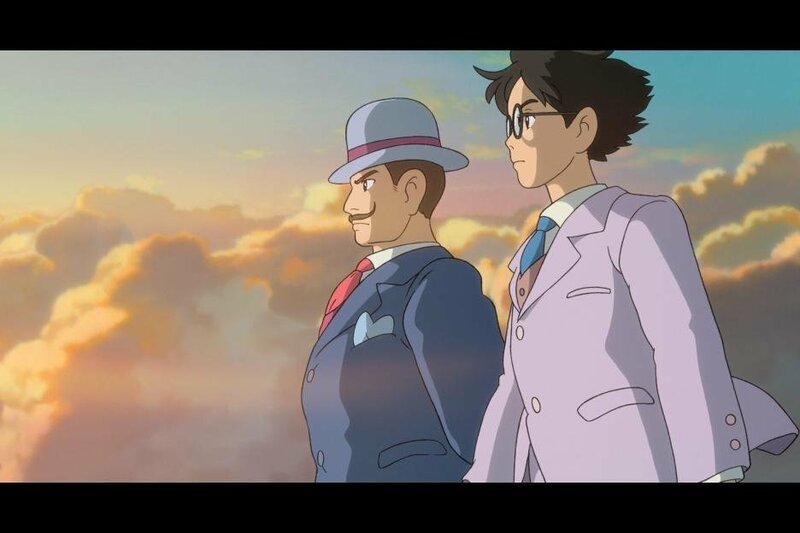 Whether you’re a Miyazaki fan, an aviation buff or you’re just looking for something different, I’d highly recommend catching The Wind Rises in theaters. I prefer a world with pyramids.